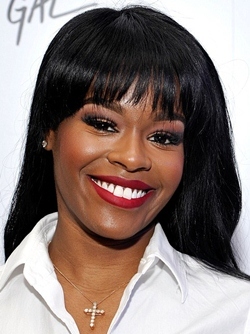 Azealia Amanda Banks is an American singer, rapper and songwriter born on May 31, 1991. She started releasing music through MySpace in 2008 and eventually being signed to XL Recording at the age of 17. After releasing her debut single, 212, Banks secured a recording deal with Interscope and Polydor Records. In 2012, Azealia released her first extended play 1991. Later on, her debut album, Broke With Expensive Taste was released in 2014 while her mixtape called Slay-Z was released in 2016. She has been honored with several awards and nominations throughout her career including MOBO Awards and NME Award. In addition to her musical career, Banks’ outspoken views have been the subject of media scrutiny throughout her career. As far as her personal life is concerned, Azealia Banks dated Lil Internet and David Holmes in the past. Below we have discussed the complete details about rapper Azealia Banks body measurements such as her height, weight, shoe, bra cup, dress, bust, waist and hip size. She always wanted to be famous. Azealia is considered angriest rapper for her outspoken views. Miss Bank$, Krystal Pepsy and Yung Rapunxel are her nicknames. At the age 10, Azealia began performing in the off-Broadway musicals with the Tadal Youth Theater.